We all have an extensive list of animals we wish to see in real life. Such a list only has the name of animals you know. Still, there are so many other amazing animals you probably didn’t know exist. Here’s the list. Elephant shrew is a small mammal that found exclusively in Africa. This cute little creature named after its long, flexible snout. There are 20 recognized species of elephant shrews in Africa. They inhabit in forests, grasslands, and woodlands. 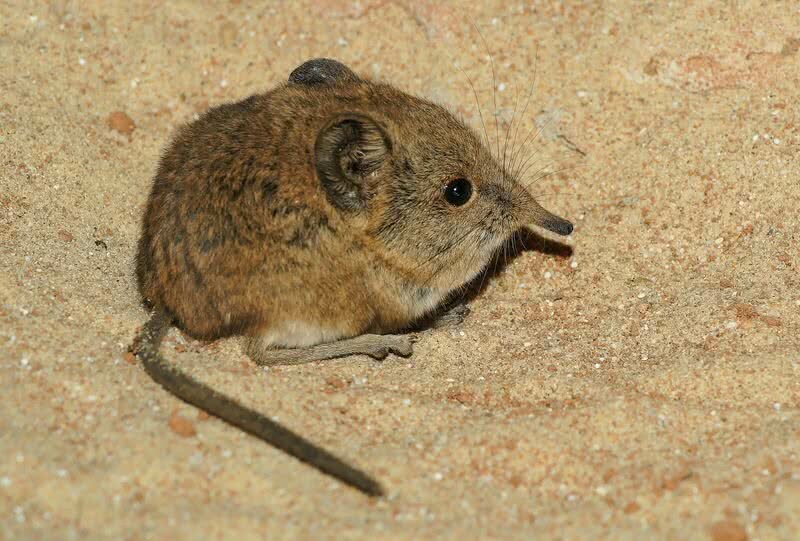 Elephant shrews have slender limbs, long hind legs, a long tail and large eyes. Their fur can be found in black, brown, white and gray. With the help of long hind legs, elephant shrews can leap like a rabbit. They also have an excellent sense of hearing and smell. These traits help elephant shrews to escape from predators and find the prey. Found in warm waters of Indo – Pacific oceans, this marine crustacean is arguably the most colorful ocean creature on Earth. The outer shell of their body displays stunning colors of red, orange, green and blue. Apart from their incredibly colorful body, mantis shrimps have also one of the most advanced visual systems in the animal kingdom. Their eyes have 16 color receptive rods where humans have only 3. So, the eyes of mantis shrimps can process more colors than human eyes. What else to say, they can even see the polarized and ultraviolet light. On top of all these, mantis shrimps probably have the fastest punch in the animal kingdom. Using the appendages, they can deliver a punch as fast as a 0.22 caliber bullet. Such a powerful punch let them crack the hard shell of a crab easily. 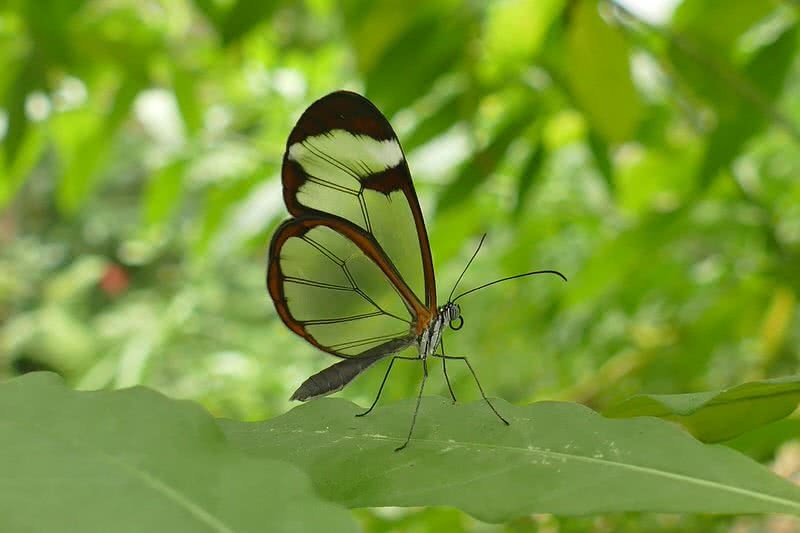 In the whole family of insects, this butterfly exhibit one of most unusual traits – the transparent wings, the quality after which glasswinged butterflies named so. The reason behind this fantastic feature is the special tissues that form their wings. The tissues let the light to pass through rather than the reflection of scattering. 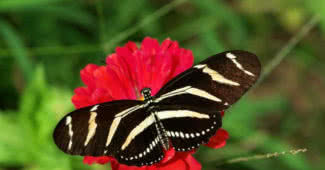 These amazing butterflies live in the humid forests and gardens of Central America. As you can imagine, It’s challenging to spot them. Thankfully, the borders of glasswinged butterflies are in dark brown color. Without them, it would be nearly an impossible task to spot these butterflies. Araripe Manakin is an incredibly beautiful yet critically endangered bird endemic to Brazil. There is only a small population of 800 individuals left. This unexpected decline in the population of Araripe Manakin is due to habitat loss and degradation. 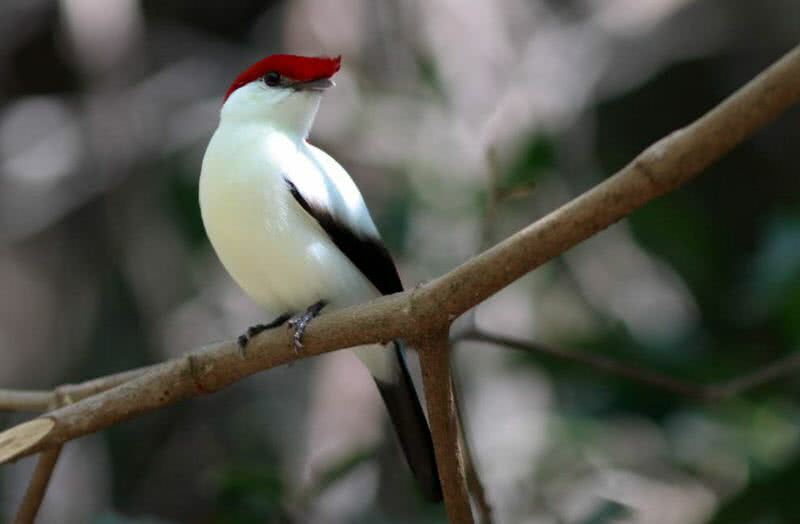 In the family of Araripe Manakin, male birds are more beautiful than females with striking patterns. They have pure white plumage, bright red crown and black wings and tail. On the other side, females have a dull olive green color. 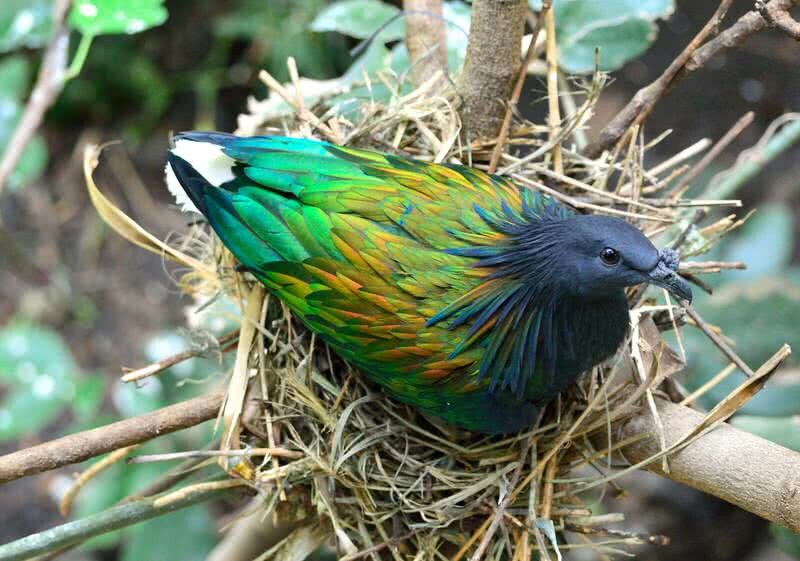 With striking blue-green feathers, the Nicobar pigeon can outshine almost any other species of pigeons in the world. This gorgeous pigeon live in the Islands of Nicobar in the Bay of Bengal. Nicobar pigeon also outweighs than most other species of pigeon. A mature Nicobar pigeon weighs over 600 gm and has a length between 40 and 42 cm. Once Nicobar pigeons are found in larger numbers. But today, their population is declining. Habitat loss and caught for food and pet trade are the greatest threat facing by the Nicobar Pigeons. This shy, rarely seen yet stunningly beautiful animal live in the forests of Southeast Asia. As the name suggests, they have beautiful cloud like pattern. Weighing only 16 – 22 kg, clouded leopards are one of smallest members of the family of big cats. Their fur is yellow – brown with black, cloud like markings. The tail of clouded leopards has the same length of their body, and it aids in balancing. They are good climbers and spends the most time on the trees. Good grip while climbing is ensured by their strong legs, big paws, and sharp claws. 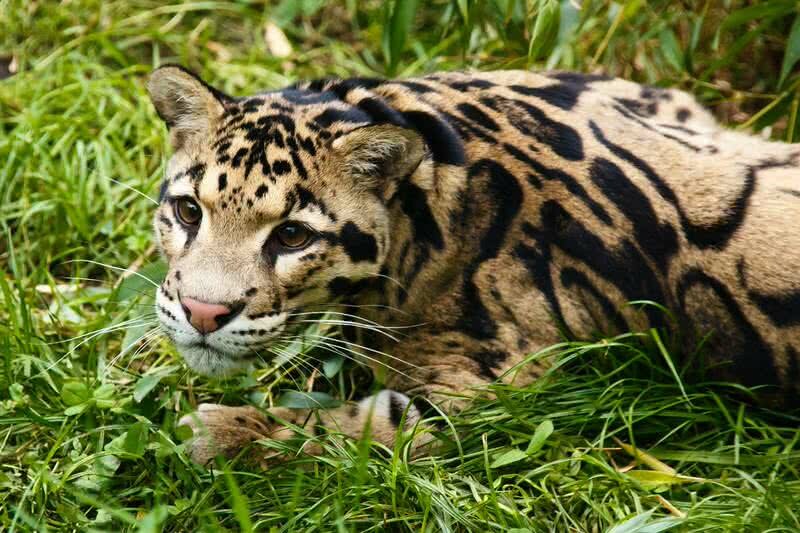 It’s thought to be there are less than 10000 clouded leopards in the wild. But their number is decreasing due to deforestation and poaching. 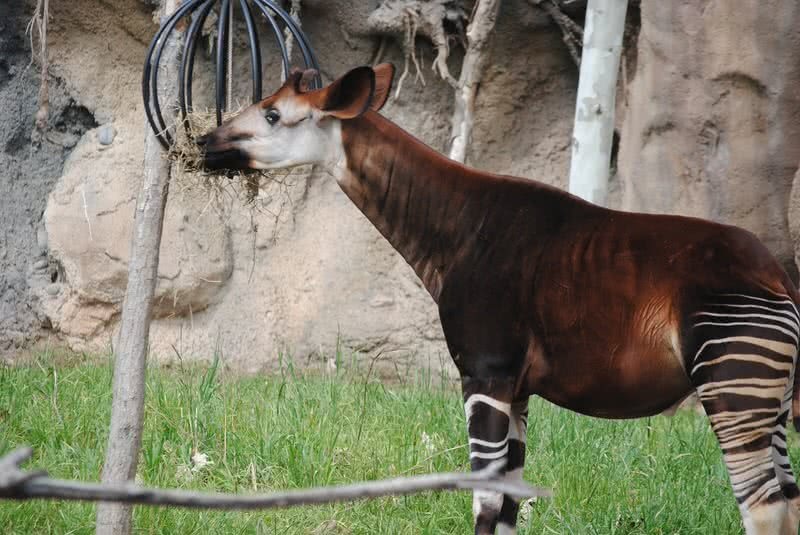 The unusual looking okapi is the only living member of the giraffe. They live in the forests of the Democratic Republic of Congo. Their distinctive look is characterized by the striped hind limbs and fore legs which resemble zebras. Also the long neck like giraffes, not as long as giraffe’s. A fully grown okapi stands 5 feet in height and weighs up to 350 kg. They have an excellent sense of hearing with long ears. Sadly, it’s an endangered animal. Only less than 22000 of them left in the wild. Habitat is the biggest threat facing by okapis. The most majestic creature of one of the harshest environment on Earth – The Himalayas. It’s one of the most endangered animals in the world. 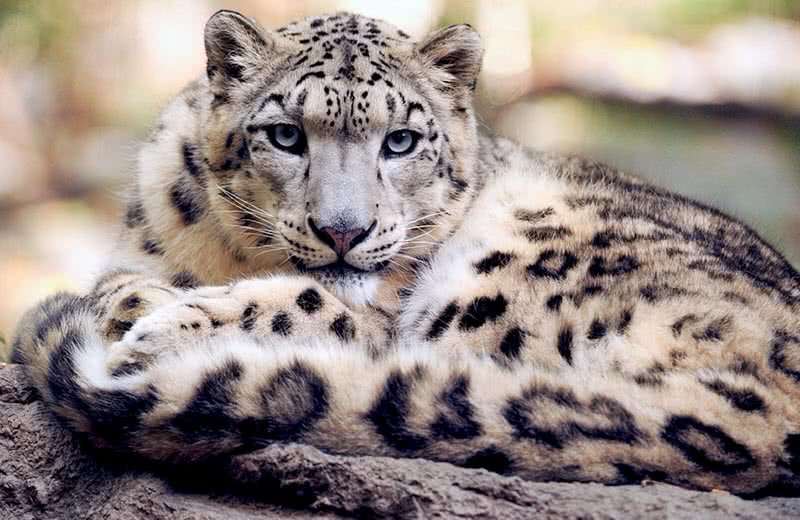 Only less than 7000 snow leopards left in the wild. Climate change is the main reason for the decline in their population. With thick fur and fur covered feet, snow leopards are well adapted to live in the Himalayan mountains. They have very attractive white -gray coat with black rosettes. This coloration also let snow leopards blend with the surrounding perfectly. To move across the rocky areas and steep slopes, snow leopards have a built body, which let them take outstanding leaps. To be precise, almost six times of their body length. Even in the natural habitats, it’s challenging to spot snow leopards as they become only active at dawn. Emperor tamarin is a small, gorgeous species of monkey that found in lowland tropical rainforests of Peru and Brazil. 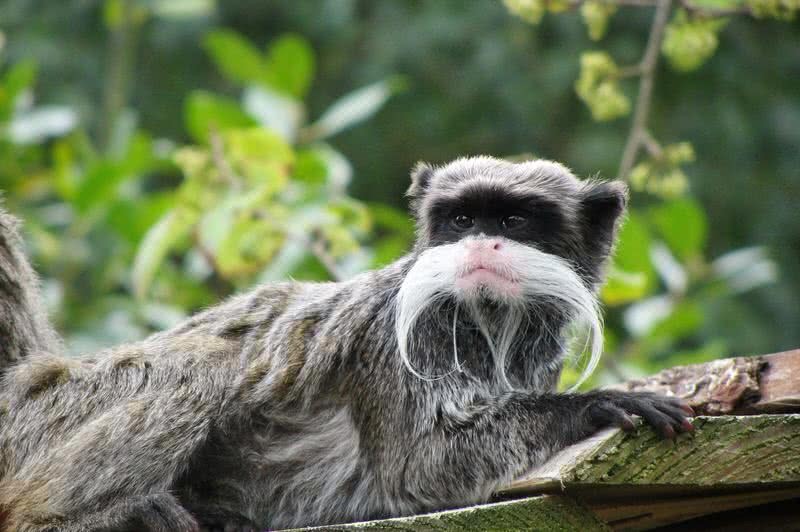 These monkeys got their name from their distinctive long white mustache, which believed to have resemblance with the mustache of German Emperor Wilhelm II. As said earlier, it’s a small species of monkey. Even a matured emperor tamarin has a length between 7 and 12 inches and weighs up to 900 gram. They have a gray body and a reddish-brown tail. As a social creature, emperor tamarins live in small groups which contain up to 20 members. 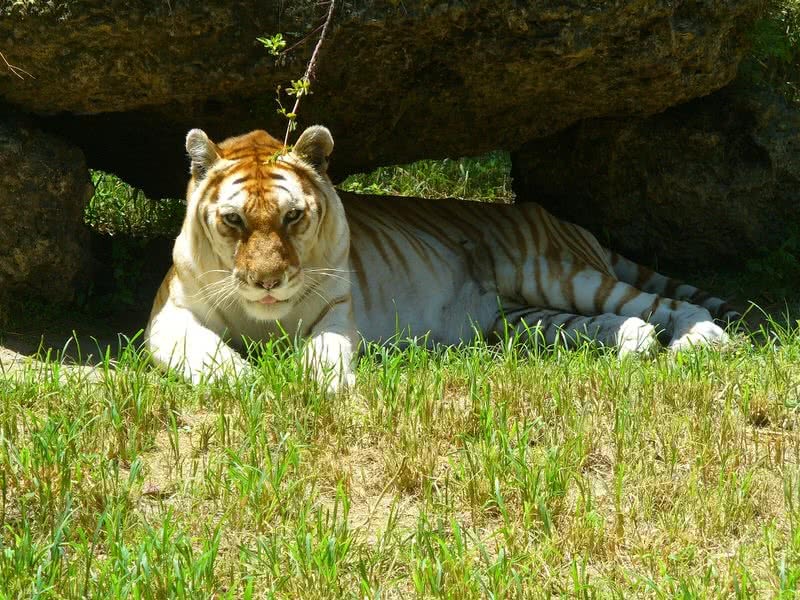 Golden is an incredibly beautiful yet extremely rare color variation of the tiger. They are also known as golden tabby tiger. Currently, the majestic golden tiger exists only in captivity, not in the wild.This unusual golden color is due to the captive breeding. The coat of golden tiger is softer than other species of tiger.